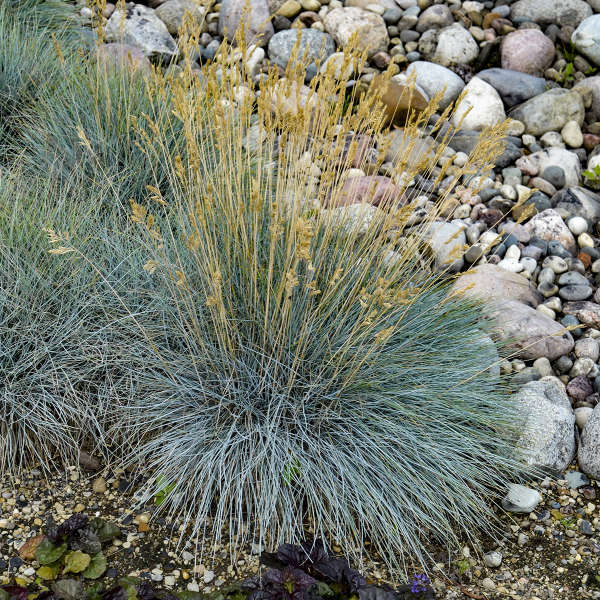 Festuca glauca 'Elijah Blue' | Walters Gardens, Inc. 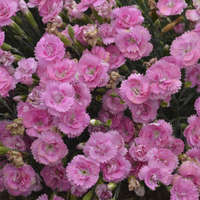 This hybrid is similar to F. 'Boulder Blue', but is distinguished by a slightly taller stature, looser habit, and less upright flower stalks. 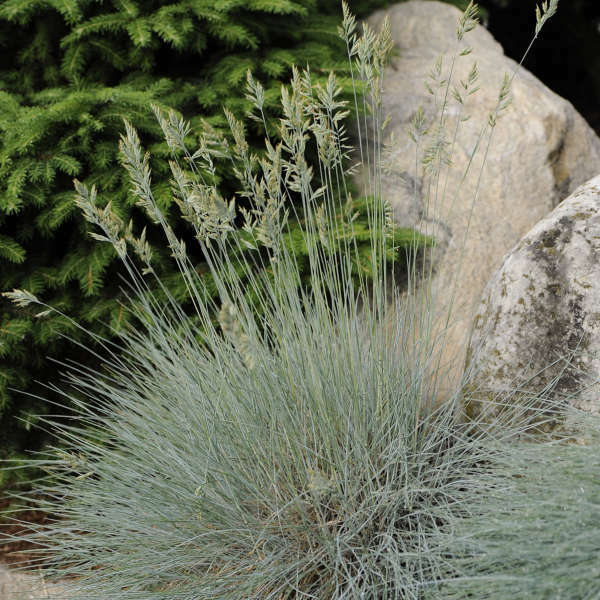 Soft powdery blue, spiky foliage that keeps its color all year round makes this grass a top pick. 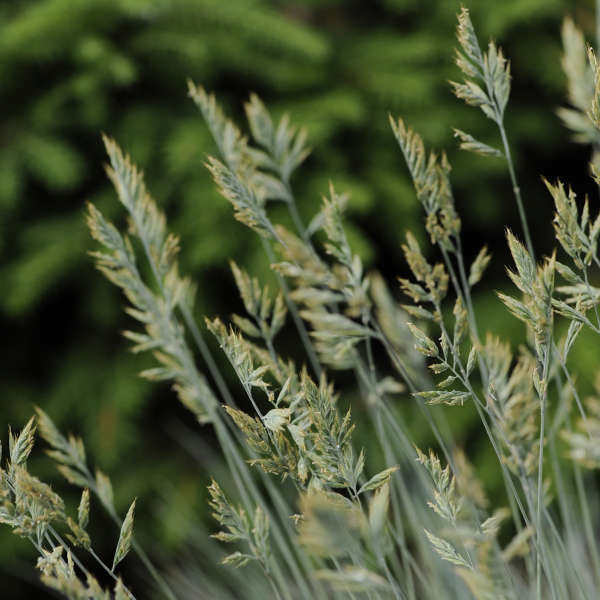 One of the more durable and longer-lived varieties, 'Elijah Blue' is a small, clumping grass with a rounded habit. In early summer, wheat-like seed heads are produced on tall, spikey stalks in great numbers. Prefering dryer conditions, this is the perfect grass for rock gardens, in stone troughs or pots, for costal climates, or even for use as edging. The Festuca genus is at its best when given full sun and well-drained soil. Afternoon shade is recommended, however, in the warmest regions of the country. 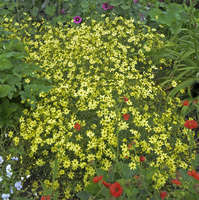 Festucas are valued for their clumping habit and are proven performers in areas with cooler climates. 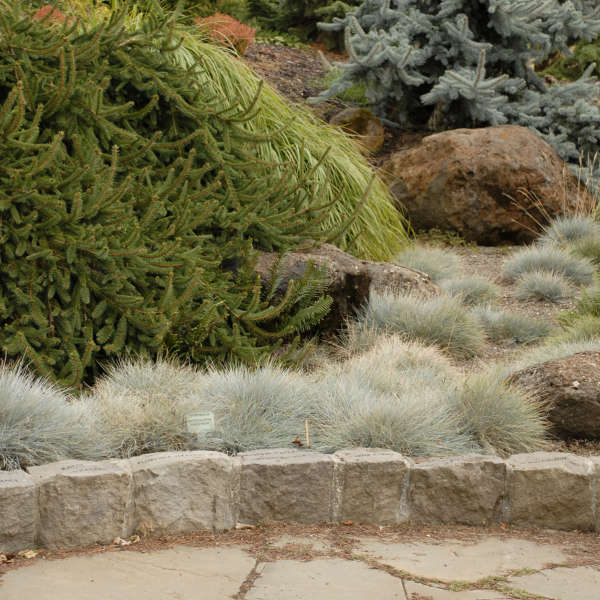 In mild areas they act evergreen, but in cooler areas they should be trimmed back almost to the base either before the onset of winter or in early spring. 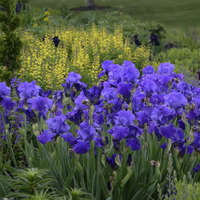 If division is required, it is best performed in the spring so the divisions have time to root in before the onset of winter. 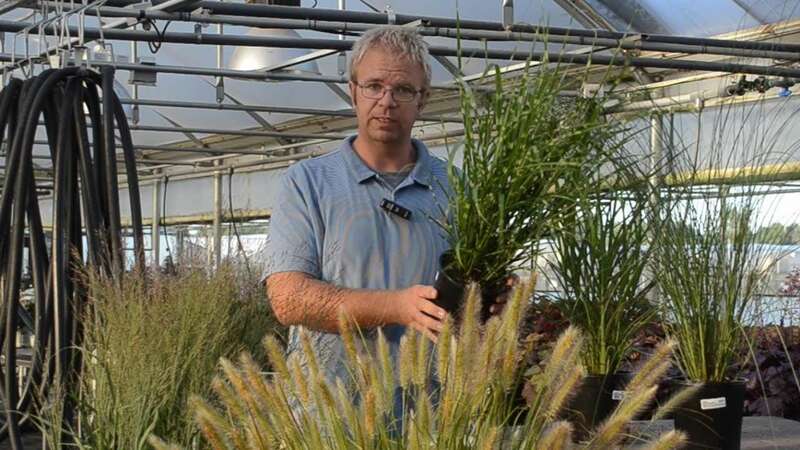 Festuca have low fertility needs and can survive in very poor soils. 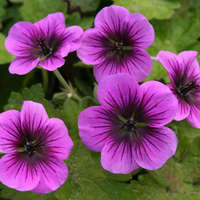 However, while it is actively growing it can use higher levels of Nitrogen. If the foliage loses its blue color, an application of 100-200ppm Nitrogen fertilizer might be beneficial. Clumps may die out in spots, or die out completely. This problem is often caused by one or more of the following factors: high salt levels in the media, too much irrigaton, or poor physical properties of the media. It is important that plants have good contact with the potting medium. Try to avoid air pockets between the plant and the medium. Watering in well after planting helps with this. Too much water will stress plants out. 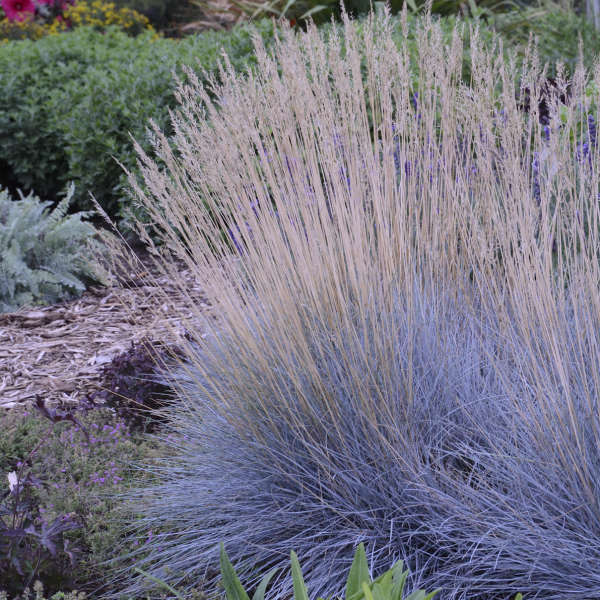 Festuca works well in combination planters, edging in the border, or as accent plants. 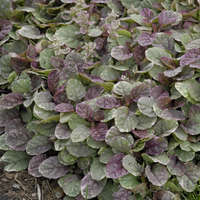 Foliage color is brightest in full sun, but plants will do fine in partial shade. Festuca is a cool season grass that grows best in temperatures of 50-65° F. Avoid mid summer production as the plant growth will stall out.